1. Ultra-thin and light. LCD has the characteristics of thin thickness and light weight, so it can be easily spliced and placed. The 46 inch special LCD screen weighs only 20KG and is less than 10cm thick, which is beyond the comparison of other performance devices. 2. High discrimination rate and bright picture. The point spacing of liquid crystal is much smaller than that of plasma. Physical discrimination can easily reach and override the high-definition scale. The brightness and analogy of liquid crystal are very high. The color of liquid crystal is beautiful and bright. The BSV liquid crystal splicing skill is completely curvature-free when it reaches the pure plane, and the image is stable and not shining. 3. Large visual angle. For the early LCD products, the visual angle was once a major problem restricting the LCD, but with the continuous advancement of LCD skills, this problem has now been completely solved. The LCD spliced curtain wall accepts the DID LCD screen, whose viewing angle reaches more than 178 degrees, which has reached the result of absolute viewing angle. 4. Long life and low maintenance cost. LCD is equipped with the longest performance. Its life is very long. Even if it is the shortest backlight department, it can reach more than 50,000 hours. And even if it takes such a long time, it will only affect its brightness. Only by changing the backlight tube, it can regenerate the bright color. This is different from back-projection in quality. 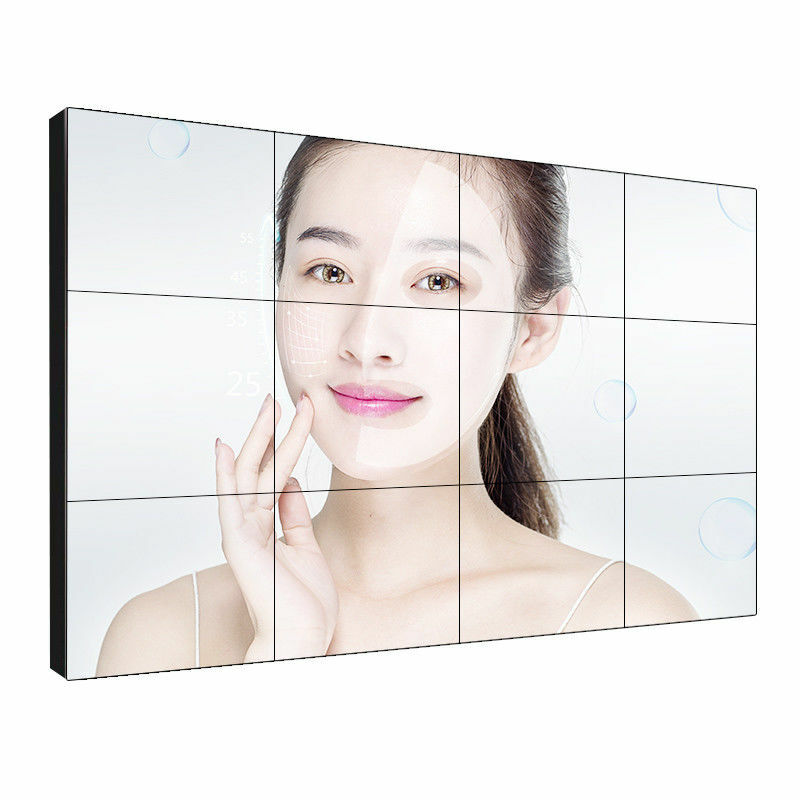 The life of LCD backlight is ten times longer than that of back-projection gallbladder, and its advantages and disadvantages are self-evident. 5. Low power consumption and low calorific value. 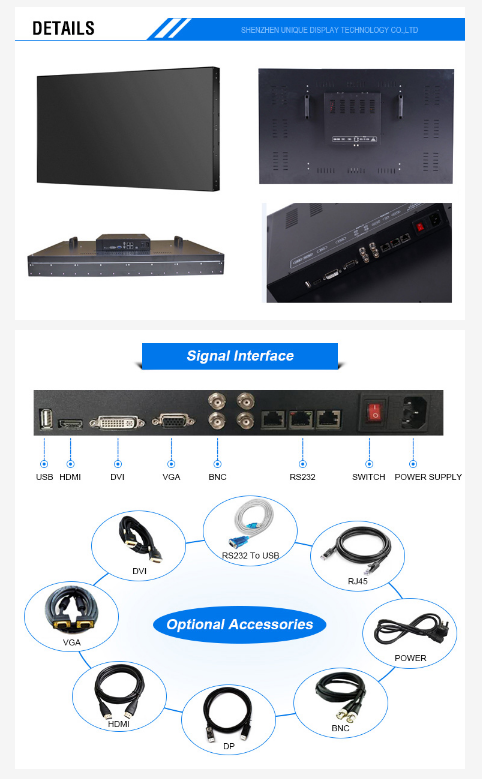 LCD performance settings and equipment deployment, low power, low fever has been praised by people. 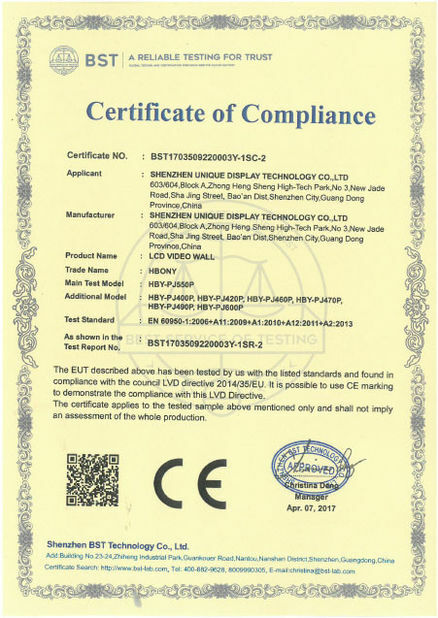 Small size LCD screen power is not more than 35W, 46 inches above the LCD screen, its power is only about 180 W, only about one third to one quarter of the plasma. 6. Unjustified barrier has a long time and low maintenance cost. 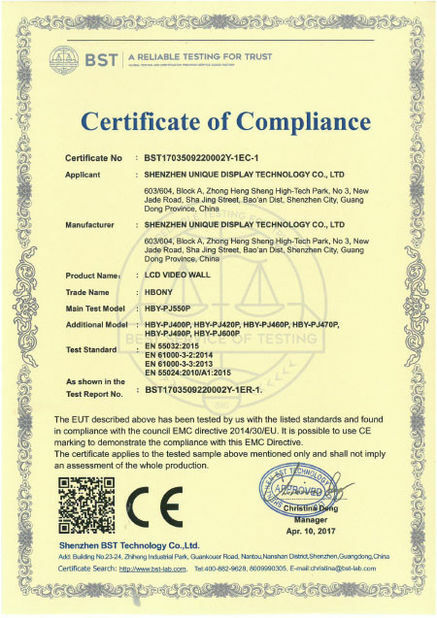 LCD is now the most stable and reliable performance setup equipment deployment, because the calorific value is very small, the device is very stable, will not be hindered by the component temperature rise too high damage. 7. Mobile and changeable stitching performance combination effect. 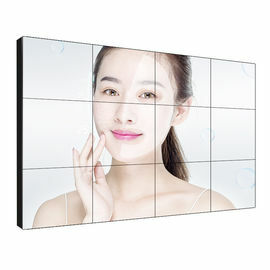 LCD splicing screen can be customized according to different user requirements, select single-screen performance, full-screen performance, arbitrary combination of performance, image travel, image overlay and other effects.